Though most of us know that prayers should be specific, quite often they are not. Why is that? Here are three reasons why. 1. Because we lack authenticity. The problem with so many of us is that our prayers are not authentic. We don’t pray for the everyday specific things we need, but rather to impress others or even to bring to ourselves a feeling of accomplishment. Thus our prayers become full of fine words and vague generalities. Prayers should be real and authentic, that admit sins and needs, and that cry out for mercy and ask for grace to supply each and every need. But for some that is just too difficult, too revealing. 2. Because we don’t know God’s will. When we don’t know what to pray, our prayers become general and vague and we use terms such as, “Lord, bless them,” and, “Lord, may Your will be done.” Likewise, when we don’t have a scripture verse or passage that God has given us, we pray without conviction and without burden and desire. Real, genuine, specific prayers must be with knowledge of His will and directed by His Spirit. If they are not then there is no confidence in how to pray; thus it becomes impossible to pray specifically. For how can one pray confidently for any specific thing if he doesn’t really know if it is God’s will for him to be praying for it? 3. Because of laziness. Specific prayers take time and effort: time and effort to investigate the problems people have; time and effort to make an accounting of each request; time and effort to seek God’s will and to form each request according to His will. But the lazy one makes no investigation of problems and cares not to record prayer requests. He doesn’t even bring a pencil and note pad with him to the church prayer meeting. And when he prays there is no real enthusiasm or joy in his tone of voice. He usually doesn’t offer up any definite or urgent request, but prays for whatever happens to come into his mind. His prayers may be very good sounding prayers—full of praise and thanksgiving, and with confession—but none of his requests are with any urgency or desire. Why is that? Why does he seem to be lazy in his praying? Well I think it could be many things. Here are just a few ideas: (1) He may have a physical problem, and therefore he lacks the energy it takes to pray. (2) He may not have any real concern for others and he hasn’t learned how to love others in prayer; therefore, he thinks more about his own worries and problems. (3) He hasn’t experienced the joy of prayer or the joy of the Lord, so prayer to him is a real drag. (4) It may be that he has no focus or desire or burden for specific prayer requests simply because he doesn’t believe God can or will answer them. So his recourse is to pray generally—that the world may have peace, etc. It is his way of appearing religious without making any real, specific prayer commitments. This post is an excerpt from Principles of Prayer. 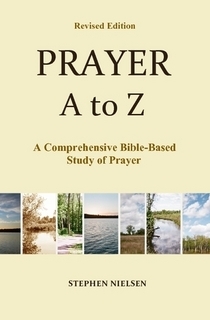 This entry was posted in Prayer A to Z Excerpts, Specific Praying and tagged answers to prayer, prayer, prayer requests. Bookmark the permalink.